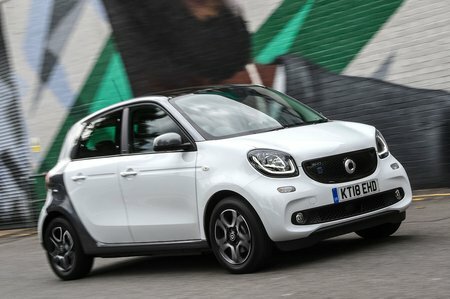 Smart Forfour EQ Performance, Engine, Ride, Handling | What Car? Right, let’s answer one of the first questions to spring to mind concerning electric cars: what’s the range on a full charge? Comparatively, not that much in the Forfour, because while Smart says it’ll do 99 miles, the reality is you’ll struggle to get anywhere near that. In fact, we eked out just 57 miles in our real-world range testing on a mix of roads, which included everything from town to motorway driving. To put that into context, with its much bigger battery, the Renault Zoe managed 146 miles. 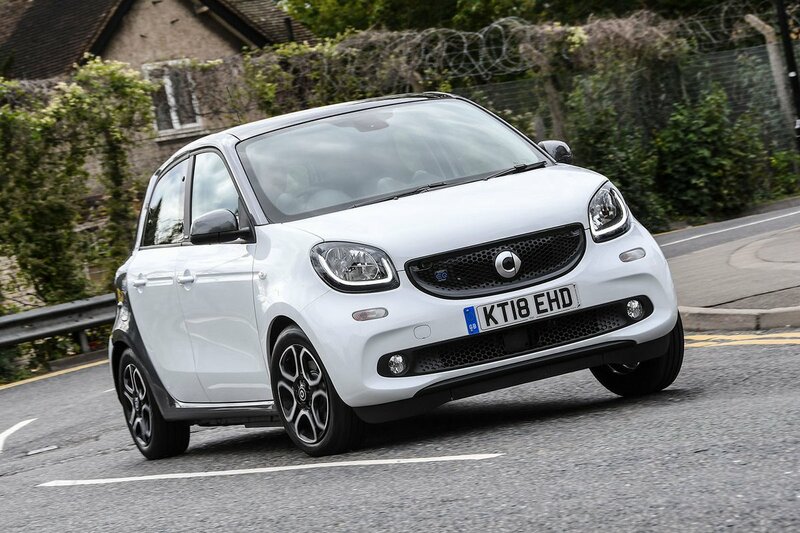 On the road, the EQ is the pick of all the Forfour models. Its 80bhp electric motor, juiced up by a 17.6kWh battery, is quiet, smooth and, in typical electric car fashion, effortlessly quick from the get-go. Officially, the EQ takes a leisurely-sounding 12.7sec to hit 0-62mph, but the instant hit of torque from the electric motor the minute you put your foot down makes it feel much zippier than the numbers suggest. And besides, that’s comparable to the e-Up and quicker than the Zoe. It feels less adept at motorway speeds, though; its rate of acceleration drops off markedly the nearer you get to its top speed of 80mph. Be warned: on the motorway, its battery power will disappear rapidly. You see, electric cars maintain charge best at lower speeds, when they can also regenerate electrical energy under braking that would otherwise be lost, feeding it back into the battery. A side effect of this, though, is an often inconsistent-feeling, grabby brake pedal, something that the Forfour is not immune to, although it falls short of being as sharp as the Zoe’s. The Zoe – and the e-Up, for that matter – ride better, mind. While the Forfour EQ is more composed than the regular petrol version, it still bounces and jiggles over broken town roads. Both its rivals feel more settled, especially the faster you go. The EQ’s handling is a little better than that of a standard Forfour’s, too. That’s thanks to a lower centre of gravity gained from having the battery under its seats; you still get a fair amount of body lean through corners, but not to quite the same alarming angles as the petrol versions manage. It’s still not as good as its rivals, though, particularly the tidy-handling eUp. That said, while the Forfour can’t match the e-Up for cornering dynamism along twisty roads, it’s at least its equal for nimbleness in town. The light steering and outrageously tight nine-metre turning circle mean zipping down narrow streets and slotting into the tightest parking spaces are a doddle. 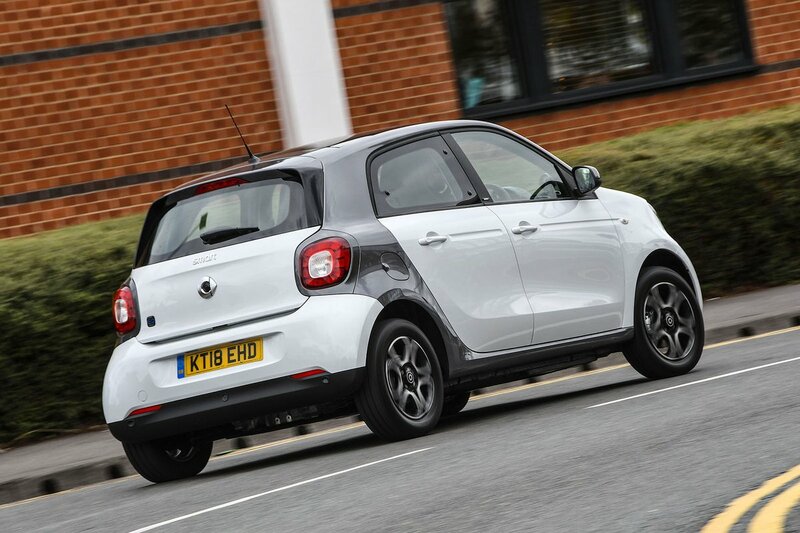 All electric cars offer near-silent acceleration due to their whispering electric motors, but as you pick up speed in the Forfour, that’s all undone by the shrill wind noise and ample road noise. The Zoe isn’t that quiet in this respect, either, but it’s far better isolated than the Forfour.